I remember watching the preview for this movie (circa Fall 2005) and feeling disappointed when I found out that it was no longer playing in theatres. Fast forward to last week when much to my surprise, I found the DVD at Blockbuster… which reminds me, I have to return it. I didn’t really know what to expect at first, but it turns out that the movie/documentary was surprisingly good! It’s based on the book (same name) by Fortune Magazine reporters Bethany McLean and Peter Elkind. In short, Enron: The Smartest Guys in the Room is a sordid tale of power trips (no pun intended), greed, and geeks gone wild. 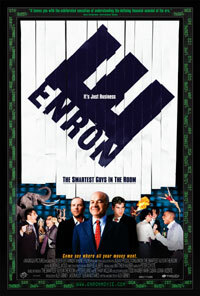 The documentary chronicles Enron’s rise and fall as an ambitious and overzealous power trading company. From the early days when rogue oil traders gambled away $1 billion dollars in company assets to Andy Fastow’s attempts to dilute the company’s losses through private equity funds, Enron’s stock and company success was grown through deceit and deception. 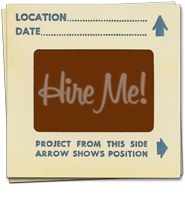 In the end, Enron’s executives jumped ship with some mad cash while employees were left with a “Dear John” letter and a swift kick in the pants. This post could go on forever (as many of my other posts have), but I’ll just let you check out the movie for yourself. You can find more information about the movie on Magnolia Picture’s website, IMDB, and Rotten Tomatoes.